As you can (hopefully) see, there is a big chunk of swirl in front of me so I grab that first.... and I don't really like it. It's very dark, almost alcohol-y, and definitely salty. It's not a liquid swirl but I would prefer something a bit more gritty and cookie like. The base ice cream is fine, but to be honest, the swirl is doing a pretty good job of masking any malt flavor here. It's not a traditional chocolate ice cream, but if malt is what has you afraid of trying this one, well, don't be. And the Oreo bits? Well, I see a chunk on occasion, but as a huge fan of cookies and cream, I can't help but feel let down. This does not feel like cookies & cream at all. Granted, it's a chocolate base which does tone down a C&C vibe versus a vanilla base, but I would not call this C&C. It's kind of shocking really. I just don't get an Oreo/C&C vibe here. Duh, I just had a realization. This swirl was the same one I didnt like in snacknado (and possibly the one that worked for Nick in the coffee n' donuts flavor, albeit without the salt). I can see the bitterness working with a coffee ice cream, but this is supposed to be a sweet cookie flavor. Well that and I don't like bitterness in general. This is suppose to be a treat, not some overly complicated thing. So I've had a few hours to think about this treat and the final verdict is going to be that I don't like it. It's not horrible mind you. It's not a total loss but this is so far from the Malt C&C I envisioned on the way to the store that I have to give a thumbs down. The swirl is just way too powerful and everything else becomes a non-factor. I'll say it again. 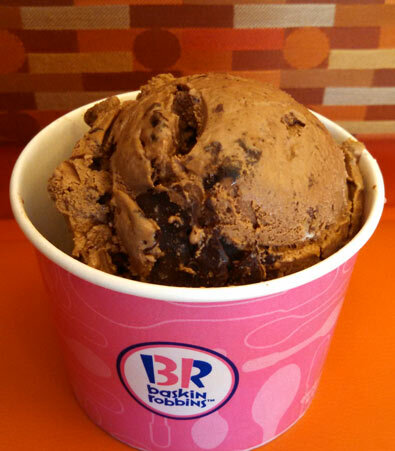 These big hunks of swirl are cool from a scooping perspective, but they really need to work on the flavor balance here. Leave the texture but tone done the bitterness and the salt. Sorry Baskin-Robbins, this one still needs work. It sounds boring. They should had added malt balls in it for a better mix-ins and reduce the salt. I didn't love it and I didn't hate it. I think the main problem is that they are trying to do too much with this flavor. I would have liked a little more malt and a little less salt. All that said, I wouldn't be opposed to eating it again. I thought this was the most delicious ice cream I have tasted in a long time! Love the malt and felt it actually enhanced the chocolate flavour. 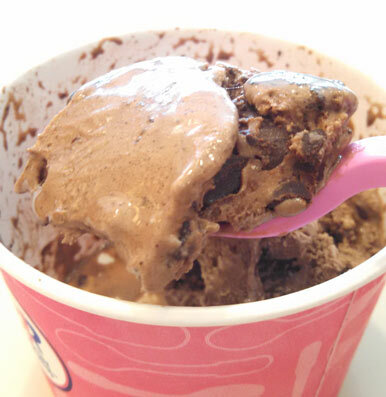 My scoop had tons of crunchy chocolate cookie pieces.